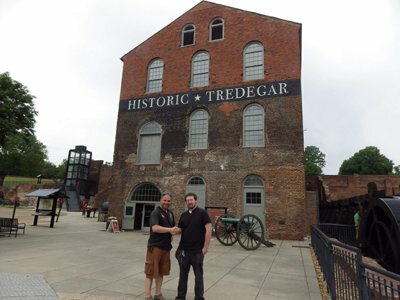 The story of Rhys Davies and how Iron is responsible for this historical connection between Tredegar, South Wales and Tredegar Ironworks, Richmond, Virginia is an important peice of our heritage. In 2016, we are to make this story into documentary film. We think this peice of our history is important to the understanding about Welsh migrants who used their skills learnt in the foundries of Wales to build up the industry that played an important part in the development of the USA.